It’s no secret that Panama City Beaches, Florida is a world renowned vacation paradise! Instead of vacationing to paradise you can move to and live in paradise by purchasing Majestic Beach Towers Condos for sale. But, no matter how wonderful your day might be, it will only get better when you make Majestic Beach Towers the place you hang your sun glasses! Here you will discover a facility that was designed to offer you family a great getaway with lots of activities and over 650 feet of white sand beaches that frame beautiful emerald green waters. 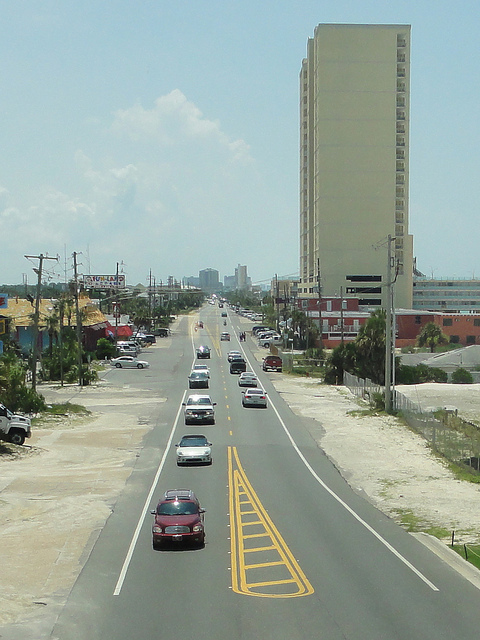 Majestic Beach Towers boasts an amazing 650 feet of gulf frontage located in the heart of Panama City Beach. Best of all, at Majestic Beach Towers all units have a gulf front. That means lovely views and wonderful breezes! You won’t be limited to walking the beaches though! Here you will have a choice between a Large Outdoor Pool or a spacious Indoor Heated Pool. There is even a Wading Pool with a Waterfall and a Baby Pool. After a great swim, enjoy a great meal at the Poolside Restaurant or just grab a snack at the Beach side Vending Area. Still not enough? How about spending some time relaxing in one of the two Hot Tubs? At Majestic Beach Towers you will never lack for something to do. Take advantage of the Air-Conditioned Walkover or take in a movie at the Stadium Seating Movie Theater. Need to know more about the area? Ask for assistance from our Concierge Services. There is even a Ground Floor Market with On-Site Movie Rentals. The Majestic Beach Towers units boast one, two, three or four bedrooms and are graciously appointed. If you’re looking for a condominium for sale at the Majestic Beach Resort there are currently 40 listings priced from $135,900-$529,900. All of these units are located at 10901 Front Beach Rd. in Panama City Beach Florida. The median price for a condo at the Majestic is currently $299,000. Sizes start at 429 ft.² for a studio in the West Tower or tower I. The highest is a 1600 ft.² three-bedroom and three bath condominium. This is perhaps the nicest condominium plus a bunk room, which could be considered a fourth room. In the middle of the road is a two or three bedroom unit with around 1200 ft.² of living space at $299,900. These units offer beautiful views of the Gulf of Mexico with private bathrooms, large garden tub and separate shower. Homeowners dues or $1920 quarterly, which covers common area maintenance, ground keeping, Internet, pest control, security, trash disposal and cable TV as well as access to all of the on-site amenities including swimming pools and recreational facilities. Around the $500,000 mark is a three-bedroom and three full bath unit with 1610 ft.² for the private third-floor parking space conveniently located on the elevated crosswalk level. This penthouse level condo provides one of the best unobstructed, west facing views in the area. This is considered a Type A unit with loaded upgrades such as tile throughout including on the balcony, flatscreen TVs, coastal green HVAC control and one of the largest four-bedroom unit at the Majestic providing plenty of room to accommodate up to 12 guests. These homeowners dues or $2608 quarterly covering accounting, beach access, exercise room, ground and building maintenance, insurance, garbage, water and sewer. Starting off the list is a one bathroom 429 ft.² studio condominium priced at $135,900. These homeowners dues are just $232 monthly. There is no new buyer fee and taxes are around $1100 per year. If you’re looking to own a fantastic small condominium in a beautiful location with a variety of amenities, this is it. Whether you’re planning on buying or renting at the Majestic Beach Resort there are covenants, conditions, restrictions and policies that need to be in place for both renters and homeowners. When owning a condominium you will be handed a CC&amp;R, which stands for covenants, conditions and restrictions that need to be upheld if you own a condo at the Majestic Beach Resort. This will state everything that you are allowed to do and not allowed to do including changing the layout of the unit, installing or adhering things to the outside of the building or changing the general layout and scope of the property that will be inconsistent with the rest of the units. There’s also noise ordinances, association fees, board meetings, when they meet and how to make changes if necessary. If you’re planning on staying there as a guest there are policies and requirements as well. There’s a reservation fee of 5% assessed on all reservations and residents must be at least 21 years of age to reserve a room but there are certain exceptions, for instance if a couple had recently been married and this was their honeymoon and they are under 21. Typical checkout time is 10:00 AM but late checkout may be requested. There’s a $50 fee per room per hour on all departures after 10:00 AM. Check-in time begins at 4:00 PM but you may also be able to check in earlier if the room is available. There are cleaning fees and prices, which vary by unit size. There’s a nonrefundable $49 damage fee waiver that may be subject to all reservations but be sure to check with the front desk on this exact cost. The Majestic Beach Resort provides a full refund to any and all guests if there’s a mandatory evacuation due to hurricanes or other emergencies. There are no pets allowed at the Majestic Beach Resort for homeowners or guests except for service dogs. Life at the Majestic means you’ll have complementary parking, on-site dining and room cleaning service and most units except for studios offer a washer and dryer. Each room is equipped with a vacuum cleaner, dishwasher, sponges, soaps and linens when necessary. The building itself features five swimming pools, a fitness center, movie theater, tennis courts, a general store, Starbucks coffee shop, a seasonally opened bar and grill, full kitchen in most units, ATMs on the property and private balconies with beautiful views of the water. If you have specific questions on your Majestic Beach Resort unit, whether you’re buying or renting feel free to contact us at any time. We are specialists on the Majestic and would be happy to answer any questions you may have about owning or renting a property in Panama City Beach. The Majestic Beach Resort is one of the premier destinations in Panama City Beach Florida. At any given time there are roughly 10 to 40 properties for sale within the building. These range from about $135,000 to over $500,000 based on the size of the unit, whether it’s furnished or not, it’s condition and view. There are 1-3 bedroom layouts in sizes from 500 ft.² to over 1500 ft.². If you’re considering purchasing a condominium as your vacation home, cash flow income on a rental or simply to have a second home to retire in, the Majestic makes an ideal location. It’s right on the beach, has a variety of amenities including swimming pools, spas, fitness centers and tennis courts and it’s extremely close to the golf course. If you’re planning on purchasing a condominium it would be best to know exactly what’s available. You can <a href=”http://condos.pcbeach.com/i/16548/majestic”>click on this link</a> and be directed to the entire list of properties for sale located at the Majestic. Once you find a home that you like or maybe a few that you’d like to take a closer look at, simply contact our real estate agent. We specifically deal with vacation homes and purchasing condominiums in Panama City Beach. We don’t focus on single-family homes or permanent residences but primarily vacation homes or second homes in the form of a condominium. Once you have a list of a few condos that you’d like to take a look at or even just one or two, we can set up an appointment to view those homes. Many may already be occupied so we will contact either the seller, owner or the tenant to set up and schedule a showing. Most of the time you want to schedule those showings during daylight hours so you get a good glimpse of the view from your room. Once you have looked at a few of these condominiums we would be happy to answer any questions you have on the property. This would be in the form of homeowners association dues, what you are responsible for as you own a home here, and any other answers to your questions. If you’re interested in placing an offer, we will write up a condominium purchase and sale contract offer to present to the seller. If all looks good and they accept the offer then we can move on to inspection and closing. If there’s any counteroffer we can advise as to how to proceed and if it’s wise to counteroffer with either different terms or different price. These condos don’t fly off the market as fast as New York City or San Francisco but they certainly could use some negotiation. Once mutual acceptance have happened you’ll want to make sure you get the condominium inspected. Just because it’s a condo in a larger building doesn’t mean you should forgo the inspection. A good inspector will check all of the outlets, light fixtures and appliances to make sure everything is up and up. Once the inspection has passed the proceedings will move on to closing. The seller and the buyer will come together and sign all the necessary documents and then, you can move right into your vacation home at the Majestic. To get started please view all active listings at the Majestic on this page and if you have any questions feel free to contact our agent at any time. 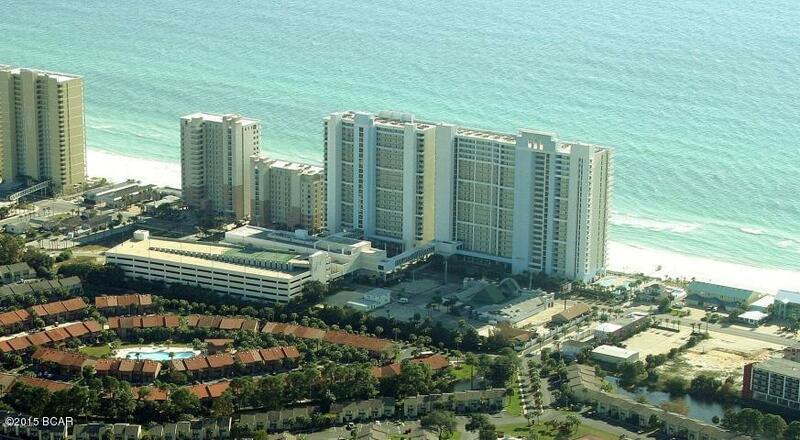 Currently, there are 35 condominium units for sale at the Majestic Beach Resort located in Panama City Beach Florida. These condos are price from $135,900-$499,000. The median price is $299,900. The median unit is a two or three bedroom floor plan between 950 ft.² and 1250 ft.². Most units have two bathrooms. Many units are decorated with a fun beach theme and fully furnished. New line This is one of the nice things about the Majestic Beach Resort. So many of the units are completely furnished and typically they are decorated ready for the beach theme. You can either move right in, use it as a vacation home or rented out. Many of the units when they sell are already rentable and may have regular tenants on a yearly or annual basis. Most condominium units for sale at the Majestic are between $200,000 and $320,000. The variance in price typically is for condition or view. All units receive the same amenities and homeowners dues are approximately the same for each unit. Monthly homeowners fees are approximately $1280 per quarter. Several units are already leased and homeowners dues include groundskeeping, accounting, amenities, trash, sewer, cable TV, pest control, Wi-Fi, insurance and water. Size will also have a factor in the price. The top price is currently $499,000 for a 4-bedroom three bath top floor unit with incredible views. This has over 1600 ft.² of living space and homeowners dues are $2600 per quarter. There’s also a new buyer’s fee however homeowners dues cover all aforementioned utilities. This top unit is a penthouse level providing one of the best, unobstructed, west facing views you’ll find anywhere. This is considered a type “A” unit with upgrades such as tile throughout including the balconies, flatscreen TVs, coastal green HVAC control and one of the largest four-bedroom units at the Majestic. To learn more please view all listings for sale at the Majestic Beach Resort. If you’d like to view any of them up close and personal please contact our agent today. If you’re planning on buying a condominium or renting a vacation condo at the Majestic Beach Resort here are the basics that you need to know. Prices for the Majestic Beach Resort start at about $135,000-$550,000 depending on the amenities, condition and size of the unit. There are over 650 feet of beautiful pristine oceanfront property with a variety of swimming pools, rooftop tennis courts, theaters and restaurants. Of course, your all within just a few blocks of world-class dining, shopping, and nightlife. For more on the Majestic Beach Resort please contact our real estate agent at any time for private showing of any available listings. The Majestic Beach Resort has amazing second homes and vacation condominiums. Many people purchase these condos and rent them out throughout the rest of the year when they’re not in use by the owner. By doing this, you can get some great tax deductions. Here are the tax deductions you can get for rental homes, especially when you choose a condo at the Majestic Beach Resort. This is just some of the primary deductions that you can take. You can also deduct expenses related to traveling locally to your rental home if you need to show the property, collect rent or maintain the condo. If you use your own vehicle to do this you can even claim standard mileage rates plus any tolls and parking. If you have to travel outside your local area to maintain your rental home you can only write off the expenses if the purpose of the trip is to collect the rent or manage, conserve or maintain the property. Other areas that you may be able to take tax deductions are repairs versus improvements. The IRS will let you write off any repairs that will need to be made in order to keep your property in working condition. The cost of improvements that may add value to the property must be depreciated over several years. The IRS also maintains the profits and losses on your rental home. The rent you collect from your rental property will count as income. You can offset that income and lower your tax bill by deducting rental home expenses including depreciation. This can be done on any tax software or by your tax professional. Getting a condo at the Majestic Beach Resort as a rental property is a great option with a lot of tax benefits. If you’d like to know more please contact our Panama City Beach condo agent today. If you’ve been contemplating buying a second home condominium in Panama City Beach consider the Majestic Beach Resort. There are anywhere from 10 – 35 condos for sale at any given time at the Majestic. This gives you a wide range of styles and designs to choose from as well as prices starting at just $135,000. Here are some things to keep in mind if you’re contemplating buying a second condominium. Don’t buy impulsively. Make sure you understand where you want to live, the price that you want to maintain and the amenities that you want to have while you’re vacationing. Take into account all of these and then make a wise decision. Think about your long-term goals. 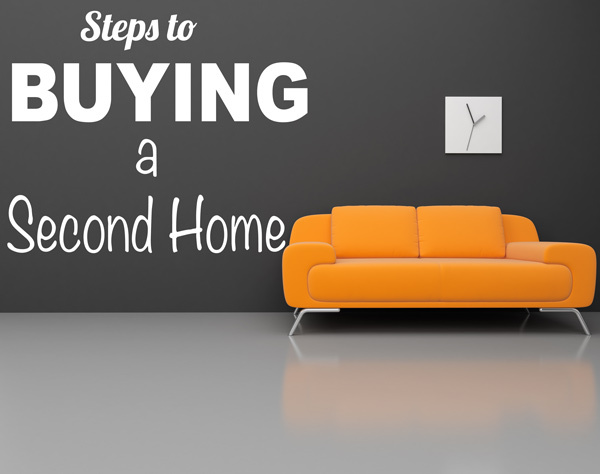 What are you looking to get out of your second home? Do you want to rent it out when it’s not in use? How long will it take you to get there if you live somewhere else? Plan this out ahead of time so that it makes sense not only economically but feasibly for your lifestyle. Use a local agent. When it comes time to buying a condo at the Majestic you someone that understands everything about this hotel. We know the building, we know the amenities, we know the maintenance and what it takes to own a home in this building. Using the local agent that also knows Panama City Beach means that your needs are put above ours and we make sure that you’re satisfied with your purchase long after you close. Shop for a mortgage. Shopping for a mortgage should be just as important as shopping for the right condo. Picture your lender knows that you are shopping around as it keeps them competitive giving you the best rates and fees. Calculate additional expenses. When you own a condominium you will have to pay for additional homeowners dues, amenities fees and maintenance or cleaning fees if applicable. Add these into your mortgage payment. Consider fractional ownership. If you buy a home on your own it might cost you way more than it’s worth. By pooling your resources with friends or relatives, many people can enjoy a vacation without the total expense of it all. Make sure you understand tax benefits. You typically don’t have to pay taxes on rental income if you rent out the home for fewer than 15 days a year. But you can’t deduct any rental expenses either. Consider tax benefits to renting it out or using it frequently. When you’re ready to buy a second home at the Majestic Beach Resort please contact our Panama City Beach agent at any time. Looking for a great vacation home or condominium at the Majestic Beach Resort? There are currently 38 condominiums for sale in this fantastic building. Residents and their guests receive a myriad of amenities including swimming pools, tennis courts, access to championship golf, markets and fine dining. These vacation condos start at just $135,000. Prices do go up to about $500,000 depending on the style, size, view and amenities. When considering buying a condo or vacation property at the Majestic Beach Resort, you’re not only buying a condo but you’re buying and experience and a memory. This building was constructed in 2006 and features a wide range of styles, layouts and designs. Each unit is unique even though they are all in the same area. Homeowners dues are about $1278 per year, which covers all building maintenance, landscaping and amenity maintenance. Residents have the choice of going with the property manager if they don’t live in the area so you can rent out the property when you’re not using it. Taxes are around $2200 per year and most of these condominiums do not require any new buyer fees. Choosing a vacation condo at the Majestic Beach Resort means you won’t need to worry about where to stay when you’re on vacation. You’ll already have that perfect spot mapped out for you in the heart of Panama City Beach. All you’ll need to worry about is getting yourself to the beach and then enjoying yourself while you’re here. Many vacationers don’t even leave the resort as everything they want is right here. Hundreds of feet of pristine beachfront views, water sports, activities, fun in the sun, casual and fine dining options are all available year-round day in and day out. Considering buying a condominium in Panama City Beach Florida? The Majestic Beach Resort is a great option as it has anywhere from 10 to 50 listings at any given time for condominiums priced from an extremely affordable $139,000 to about $530,000. If you’re looking for a condominium around $200,000 in a great vacation destination, the Majestic Beach Resort offers everything one would want on a vacation including beachfront access, swimming pools, concierge and room service, lots of activities and of course a great location in the center of Panama City Beach. You’re just minutes from shops, restaurants, nightly entertainment and waterfront activities. There are numerous condominiums for sale between $175,000 and $250,000. However, right at the $195,000 mark, which is the closest to the $200,000 price point is one listing #M1 – 1413, which is a one bedroom and one bath condominium with 737 ft.² of living space, one car parking space, golf front condominium. This beautiful condo features a living and dining room area with breathtaking views of the Gulf of Mexico and the beach. It offers a spacious kitchen and eat in bar. It’s on the 14th floor with the balcony and plenty of room for outdoor furniture. Just underneath that is a one bedroom and one bath condo for 737 ft.², similar layout and design but nearly $20,000 less. From there, there are three condominiums in the $170,000 range and one condominium listed at $169,900, with similar layout and design. After this it drops down to$135,900 for 429 ft.² property. After the $195,000 listing it jumps to $245,000 for two bedroom and two bath condo with nearly 1000 ft.². From here all the listings are two bedroom and two bath on up. Some logistics on this property include quarterly homeowners dues of around $1200 and taxes of about $1700 per year. This current property is a short sale so you’ll need to speak with your lender about any specifics on financing. Where is the Majestic Beach Resort? 10901 Front Beach Rd. in Panama City Beach Florida. The resort sits just north of the Ocean Villa condominiums in the Long Beach neighborhood. It’s right along the beach with stunning beach views and beach access for all residents and guests. The Casa Blanca Resort is just a few minutes north and the Majestic Beach resort condo rentals are right across the street. The Grandview East Resort is located just south and the Majestic Beach Properties is also located right next door. Majestic Beach Resort is located 10 miles from Panama City or about 23 to 24 minutes along Highway 30. The Signal Hills Golf course is the closest course to the resort just 1.5 miles north or about five minutes. The Shoppes at Edgewater Is located .3 or one minute from the resort, which offers the Firefly restaurant, Subway, Burger King, the Waffle House, markets and more. Pier Park With all of its fantastic shops, amusement rides and restaurants is exactly 5 miles north or about 11 minutes. Most people will take a taxi or drive to this location. The Walmart Is about 1 mile or three minutes from the resort. Wonderworks is about 1 mile south along Hwy 30. Pineapple Willy’s is also about 1 mile south along the Beach, a popular hangout spot for nightly entertainment, family fun, live music and beachfront dining. Charter fishing vessels, snorkeling, boating and other water activities are available all up and down the beach, several of which are within easy walking distance from the Majestic Beach Resort. For more information on the location, attractions, fun things to do and shops and restaurants all within walking distance of the Majestic Beach Resort please contact our agent at any time. We would love to help plan your resort vacation today.